Here’s an interesting use for Macro close-up attachments to reduce depth of field. Most of the time, Macros (Proxars) are used for extreme close-ups at minimum distance. 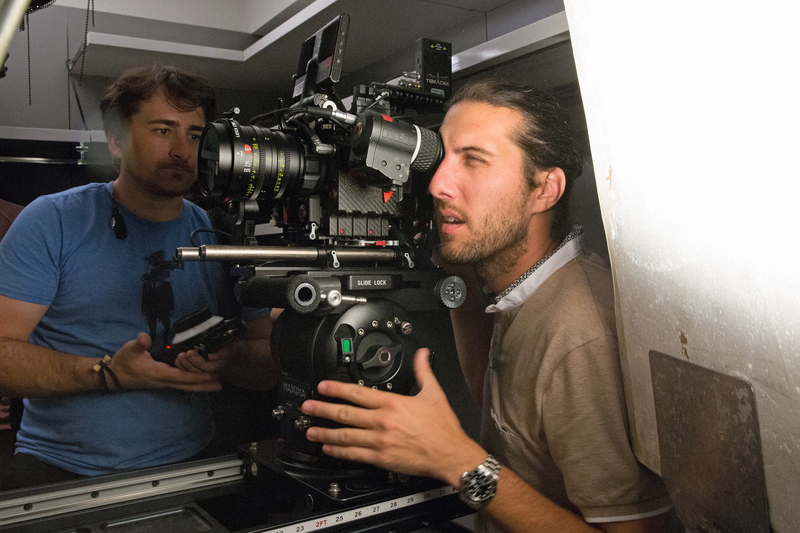 Colt Seman discusses his work with Leica Summicron-C lenses and Leica Cine Macrolux. I’ve been a big fan of the Leica Summicron-C lenses and have used them on a bunch of different projects in the last couple of years, including one feature film. When I heard they were introducing a new product at NAB, the Leica Cine MacroLux, I was curious but somewhat skeptical. I’ve used diopters and macro lenses in the past. 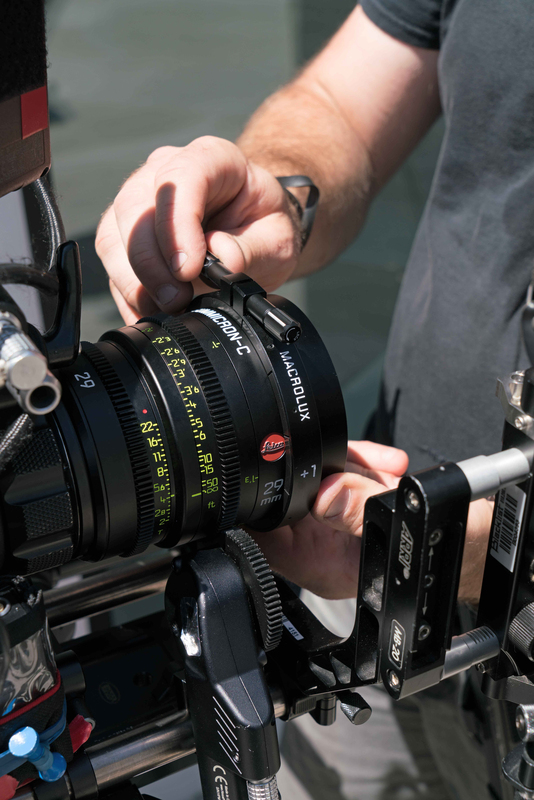 Could CW Sonderoptic improve the well-known diopter and make it something special? I visited Seth Emmons at the Leica Store in Los Angeles and what I saw blew me away. The Leica Cine MacroLux does what you would expect it to do— turning telephoto lenses into powerful macro lenses. But it was what happened with the wide-angle lenses that got my mind racing. We put the MacroLux on a 21mm Summicron-C lens and took some photos using the Leica SL in APS-C mode. Most diopters can’t hold the image with wide lenses and fall apart with distortions and chromatic aberrations. This image was clean and beautiful. The other issue that has always turned me off with diopters is the difficulty of working with them. But every piece of this system fits perfect together: MacroLux onto the lens, mattebox onto the MarcoLux. It’s never been that easy. Getting it on and off from either side of the lens works easily and it’s rock-solid when attached. For me, the problem of the diopter has finally been solved with this design. The following week, I had the perfect project to test it out. 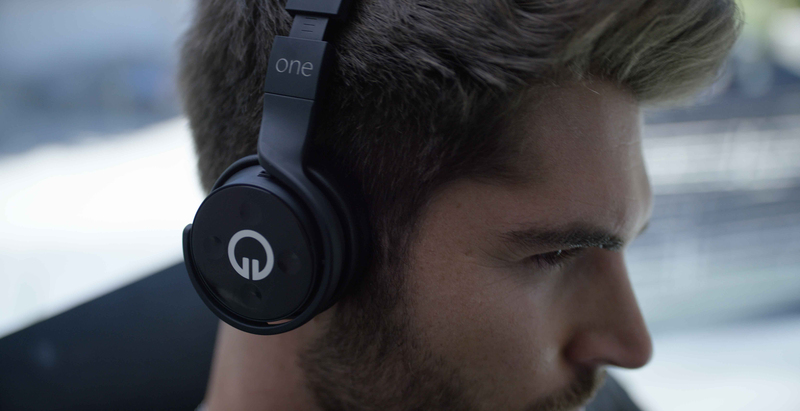 The project was a series of commercial vignettes for the high-end wireless headphone company MUZIK. The series was to have edgy and tough elements, but couched in a luxurious and modern feeling lifestyle. These were product videos with emotion and style, similar to the recent Lincoln car commercials but conveying the message with a visual language rather than voiceover. I directed and shot the project over two days in August at a house in Beverly Hills with help from my production team at Culprit Creative and Dan Marino as 1st AC and Scott Dawson as DIT. We shot on RED Dragon 6K and framed most of it at a 3:1 aspect ratio. We delivered some vignettes at 3:1 and some at 2.40:1. We shot on the Leica Summicron-C lenses and only used a few ND filters. The Leica Summicron-C lenses are one of my top choices because they provide beautiful images without compromises. They deliver exactly what I’m looking at in a way that keeps all the detail and preserves the shadows, but somehow magically creates soft, smooth skin tones on all varieties of skin tone colors and complexions. On this project, we had three models with a mix of skin tones from fairly pale to light brown. The Summicrons add just enough warmth to white skin to keep it from blowing out and bring a life to it that allows more range when doing color timing in post. With light brown skin, so many lenses render it as whiteish-brown, but the Summicrons render it as a very pleasing golden brown that makes it seem radiant and alive and dimensional. One of the best things about the Macrolux is that everything I love about the Leica Summicron-C lenses came right through the MacroLux without being distorted or destroyed. Some diopters drop focus so hard that the background melts away and becomes muddy. With the MacroLux I feel like clarity still comes through while only the focus range changes, particularly on the wider lenses. One scene in the project starts with a full body wide shot above a woman on a chaise lounge and moves in to an over-the-shoulder shot. For the whole sequence, I used the Summicron-C 21mm with the MacroLux. You can see the evolution of focus fall off as the camera moves and the plane of focus changes. The first shot from above is clear, clean and extremely pleasing. In the last shot her legs are out of focus, but they remain smooth, the shape and structure is still there. Being able to capture this macro type of look with a wide angle is something I’ve never been able to achieve before. I’ve tried using diopters on lenses as wide as 35mm and never been happy with the image. With the MacroLux I was able to shoot on the 21mm with extremely close focus, a beautiful wide image and preserve all the details. Honestly, I felt like I was shooting with a 50mm at T 0.95. The MacroLux just made some previously impossible shots possible for me. The way I am incorporating the MacroLux into my thinking about lenses is that I now know I can carry a consistent shallow depth of field look from the long lenses all the way to the wide ones and maintain a pleasing focus fall off across the whole image using the entire set of lenses. This is changing the game for me.